Measuring only 11.4" x 2" x 1.4" and weighing a mere 400 grams, the ScanQ series pushes the limits of size and weight for extreme mobility while delivering smooth full page document scanning. Powered by a rechargeable Li-Ion battery through the USB cable, the ScanQ series are small enough to be packed with your laptop and share your documents from just about anywhere, anytime. Featuring the advanced instant-scan capability, the ScanQ series are easy-to-use without the need of a computer. Simply insert a page up 14" in length or a plastic card up to 0.8mm in thickness, the scan can be started immediately and the image is saved to a 128M built-in storage or your microSD card. You will be delighted to find the scanned images in color mode and jpeg or PDF file format appropriately cropped and ready for use! 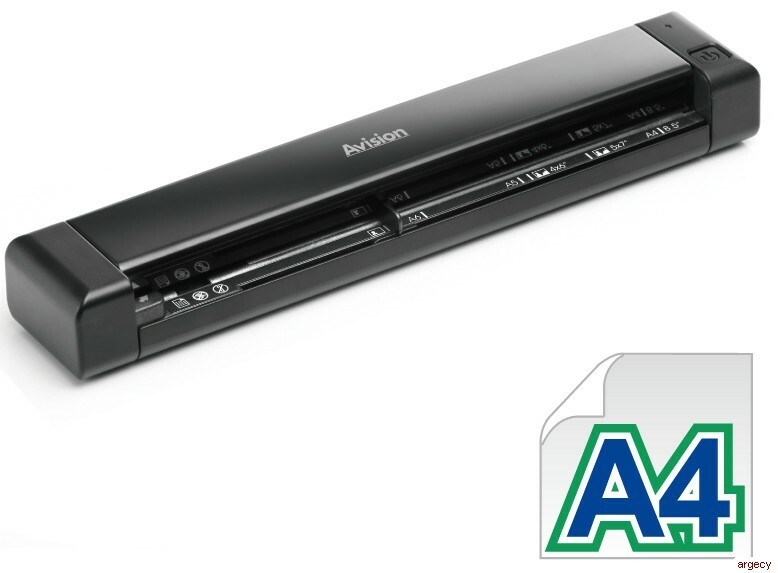 In addition, the included Li-Ion battery allows you to scan up to 200 pages for color mode at 300 dpi! To view or download the scanned image, simply connect the scanner to your computer via a supplied USB cable. Click the Removable Disk to save the images to your computer for future editing. The ScanQ series are lightweight and easy to use. Yet, its performance is not compromised. Higher optical resolutions of 600 dpi, and 1200 dpi are offered and indicated by the color of the Power button. The green light indicates 300 dpi, a default and normal resolution. The orange light indicates 600 dpi while the red light indicates the highest resolution of 1200 dpi. To switch to a different resolution, simply press the Power button repeatedly. The ScanQ series deliver outstanding performance. However, it is earth-friendly at the same time. The LED technology requires no warm up time and is lower power consumption. In addition, the ScanQ series provide auto shutdown after inaction for 3 minutes to save your power.